The initial customer interview we capture allows you to work with customers who have raised their hand for credit and a car. Credit hotlines allow you to engage customers in a credit (not a product) decision. Advertise your numbers in “blind” ads (that don’t mention your dealership by name) to sell across franchise lines and increase your market share Get consistent, around-the-clock coverage with real people answering the phone. Customers recall vanity number 9 TIMES more than standard 800 numbers. Call for availability in your market. Getting quality leads is a beginning. Working them is progress. Closing sales is success. Pipeline is a web-based tool that helps you manage and work leads to close more sales. No software to install, update or maintain. If you have access to the internet, you can use Pipeline. No long term contracts or set up fees. Assign each lead to a follow-up person for complete accountability. Make better decisions with powerful and informative real-time reports. More than 30 powerful reports that provide you the business intelligence you need to succeed. Track advertising traffic like never before! Each prospect is followed from initial response all the way to the SALE! DeskIt™ enables you to easily find the vehicles, which meet your customer's wants and needs, within the financial and credit terms your lenders are willing to extend. DeskIt's™ patent-pending technology and intuitive design enables users, of any experience, to structure deals on their entire inventory. Every vehicle is structured based on lenders' approvals, pricing and guidelines. For the first time, you can now see the precise apoortunity for both front and back-end profit on every vehicle in stock. DeskIt™ helps make more deals and increase profit. 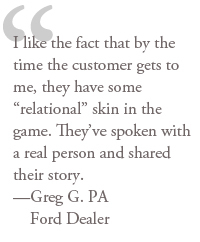 Finding the right vehicle for each customer's situation has never been easier.